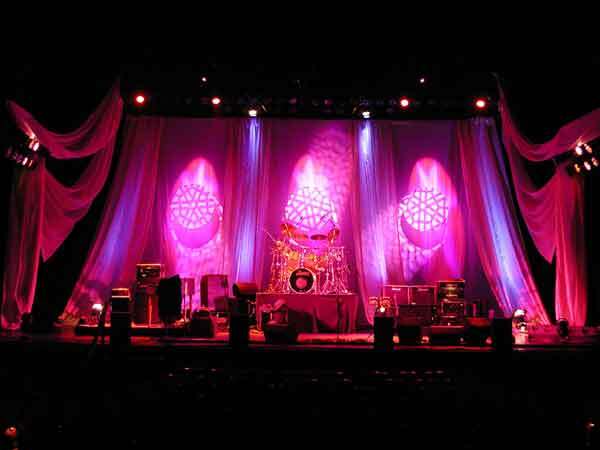 Jethro Tull set with Trevira Drapes. Lighting Designer Paul Kell. Photographer Mike Downs.